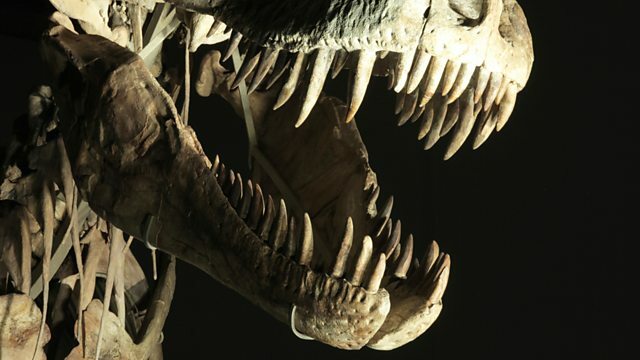 Horizon meets Dr Mary Schweitzer, who may have found traces of DNA within the fossilised bones of a T rex - a discovery that could revolutionise our understanding of these beasts. The hunt for life within the long-dead bones of dinosaurs may sound like the stuff of Hollywood fantasy, but one woman has found traces of life within the fossilised bones of a T rex. Dr Mary Schweitzer has seen the remains of red blood cells and touched the soft tissue of an animal that died 68 million years ago. Most excitingly of all, she believes she may just have found signs of DNA. Her work is revolutionising our understanding of these iconic beasts.